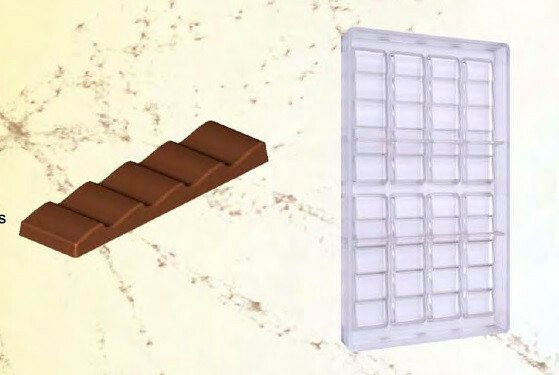 Polycarbonate mould to prepare 8 narrow chocolate bars. Bar dimensions 114 x 31 mm. Height 9 mm. Weight of full bar 30 g.
Mould dimensions 175x275mm. H 24 mm.